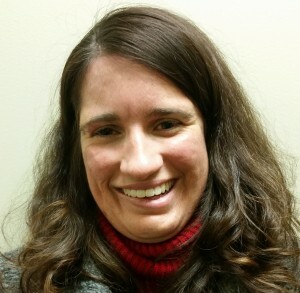 Kate Carlson, MSW, LSW, graduated with her Bachelor of Social Work degree from Miami University in 2014, became a Licensed Social Worker, and began practicing as a Child Welfare Caseworker in Butler County. In 2015, Kate began her Master of Social Work degree at the University of Cincinnati, graduating in the spring of 2016. Her experience since that time includes working as a Co-Located Domestic Violence Advocate at the YWCA of Greater Cincinnati and Hamilton County Job and Family Services, as well as a social worker and supervisor of Foster Care and Adoption at Lighthouse Youth and Family Services. She began with Crisis Services at Child Focus in November 2017, based out of the Mount Carmel office. Her job duties in this role include crisis intervention appointments, mobile crisis responses to individuals in need in the community, and responding on the Clermont County Crisis Hotline. She is a certified trauma practitioner. Eric Carpenter, JD, LSW, earned a Bachelor of Social Work degree from University of Cincinnati in 2006, and is a Licensed Social Worker. Eric began his career at Child Focus, Inc. as part of an undergraduate internship Program through the University, and worked as a part time Out of Home Care Case Manager until being hired full time upon graduation. In 2007, Eric moved to a role as the Assistant Coordinator of Out of Home Care, and remained until 2012, when he left his full-time position at CFI to pursue a Law Degree from Salmon P. Chase College of Law. Eric remained part-time to continue running the Challenges and Choices life skills group while pursuing further education. Eric graduated from law school in 2014, and returned to work in the Out of Home Care department as a Parent Educator, where he remains currently. Katlin Carpenter, MSW, LSW, is currently an outpatient therapist. She completed her Bachelors of Social Work in 2014 from Indiana University with a focus in mental health and addictions. After moving from Indianapolis to Cincinnati, Katlin completed her Masters of Social Work in April 2017 through the University of Louisville. Katlin started with Child Focus, Inc. as an intern at Wasserman Youth and Adolescent Center before becoming an employee in August 2017. She worked for one year as a therapist in Child Focus' Early Childhood Day Treatment Program. She is currently a licensed social worker in the state of Ohio. Jenna Chambers, BA, QMHS, is a qualified mental health specialist responsible for Community Psychiatric Support Treatment (CPST), Therapeutic Behavioral Services (TBS) and prevention services working at West Clermont Middle School. She graduated from The University of Cincinnati with a Bachelors of Arts in Psychology in December of 2017. Upon graduation she worked at Cincinnati Children’s Hospital as a mental health specialist and worked with patients with various behavioral issues ranging from ages birth to twenty six. She assessed and created behavior safety plans for each individual patient. Currently she is in school working towards getting her master’s degree in Clinical Mental Health Counseling at Colorado Christian University. 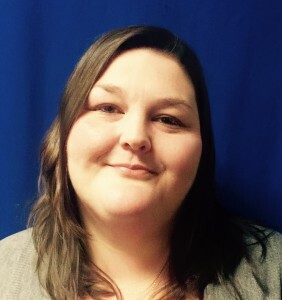 Aimee Cooper, M.Ed., L.S.W., is an Intervention Specialist with the Clermont County Educational Service Center, placed at Wasserman Youth and Adolescent Center. She earned her Bachelor’s Degree in Social Work at Northern Kentucky University in 2000 and her Master’s in Special Education from Wilmington College in 2013. She earned a Master’s Degree in Administration from Capella University in 2016. She began working at Wasserman in August of 2013. Aimee has also been a member of Child Focus, Inc. Clermont County Mobile Crisis team since 2013. Jaime K. Cox, M.Ed., LPC, is a Licensed Professional Counselor with a Master of Education Degree, Majoring in Counseling and Human Development from Lindsey Wilson College. Her past experience includes Associate and Bachelor degree Internships at Scioto Paint Valley Mental Health, located in Washington Courthouse, Ohio, and she has worked with adults, Developmentally Disabled and the Elderly. Jaime began her placement with Child Focus in January of 2015 for her Internship and became a full time therapist in January 2016 with Child Focus, Inc. Jaime works one day a week providing school-based therapy services at Fayetteville-Perry Local schools one day a week, in addition to seeing clients in the Mt. Orab office in Brown County. Beth Craig, M.Ed., LPC, received her Master of Education in Mental Health Counseling and Human Development in early 2018 at Lindsey Wilson College and received her license by the Ohio Counselor, Social Worker and Marriage and Family Therapist Board as a Licensed Professional Counselor. Mrs. Craig also obtained her undergraduate degree at Lindsey Wilson while receiving her Bachelor of Art in Human and Social Services. Prior to her employment with Child Focus, Mrs. Craig worked as a Wraparound Facilitator, in addition to coordination of services for multi-systemic youth. Angela Daniel, MSSW, LSW, is a licensed social worker who earned her Bachelor of Social Work from Northern Kentucky University in 2012. She went on to earn her Master of Science in Social Work at the University of Louisville in 2018. She has experience working with both adults and children in both individual and group settings. She has eight years of residential experience and one year of outpatient experience. She completed her bachelor level practicum placement at DCCH Center for Children and Families under the supervision of a LCSW. She worked with children in a therapeutic, residential setting that offered a variety of services. She completed her masters level practicum placement at Greater Cincinnati Behavioral Health Services under the supervision of an LISW-S. She worked with adults in a community mental health outpatient setting providing individual therapy, educational group therapy, assessments, and other therapeutic services. She strives to advocate for the clients she serves to ensure they are receiving the best possible care for their individual needs. Her main goal is to make a positive difference in the individuals’ lives she serves. 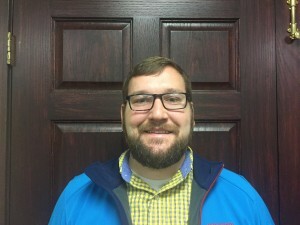 Ryan Dees, MSW, LSW, is a Child Focus, Inc. school-based therapist working in the West Clermont Local School District. Ryan obtained both his Bachelor of Science degree in Special Education and his Master's degree in Social Work at the University of Cincinnati. Ryan is licensed as a Social Worker and an Intervention Specialist. Prior to his work at Child Focus, Inc., Ryan worked as an intervention specialist at Maddux Elementary from 2009-2011. He then worked as a full-time CPST and school coordinator at Beech Acres Parenting Center from 2011-2014. Ryan also worked part-time at Cincinnati Children's Hospital Medical Center - College Hill as a Mental Health Specialist from 2011-2016. After obtaining his MSW, Ryan worked as an Intake/Investigations case worker at Hamilton County Job & Family Services, before joining the team at Child Focus, Inc. in February 2017. Ryan has served many functions in his professional career by providing services, interning, or student teaching in many schools in Hamilton County, affording Ryan the opportunity to gain experience providing a wide spectrum of services for youth and their families. Elizabeth Dolle, MA, LPCC, completed her graduate training in mental health counseling at the University of Cincinnati in 2005. It included training on working with children and families, group therapy, and program development. Ms. Dolle’s internship experience was completed at St. Aloysius Orphanage. Her experience included working with individuals and groups who presented with various emotional and behavioral concerns to complete assessments, treatment plans, and discharge summaries. 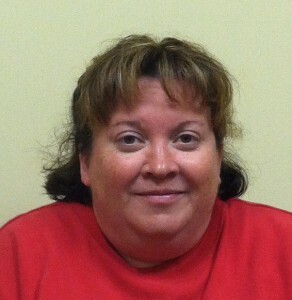 Ms. Dolle has been employed at Child Focus, Inc. since 2006. As an outpatient therapist, she works with both male and female children and adolescents who present with various concerns including ADHD, oppositional defiant disorder, depression, and anxiety. She has run the anger management group since she came to Child Focus.